On Saturday we discover the beautiful countryside of the Ardennes and some of it’s most famous climbs. Liege-Bastogne-Liege is the oldest classic and considered to be the fairest. The strongest man usually wins this race. And it’s not hard to see why. 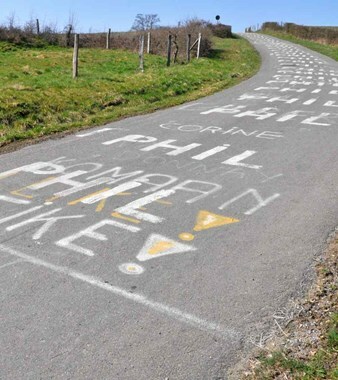 From the 20% gradients of the Cote de la Redoute and the Cote de Stockeu to the long drawn-out climbs of the Col du Rosier and the Cote de Vecquée, you will find out first hand what it’s like to ride this classic. If you prefer a more laid back approach to the cycling part of the trip then we’ll shorten the ride so as to leave ample time to sample the abbey beers at the Stavelot abbey. And to close the sporting part of the day in style we’ll have a drink in Philippe Gilbert’s home pub and have a look at some of the memorabilia that are displayed there. 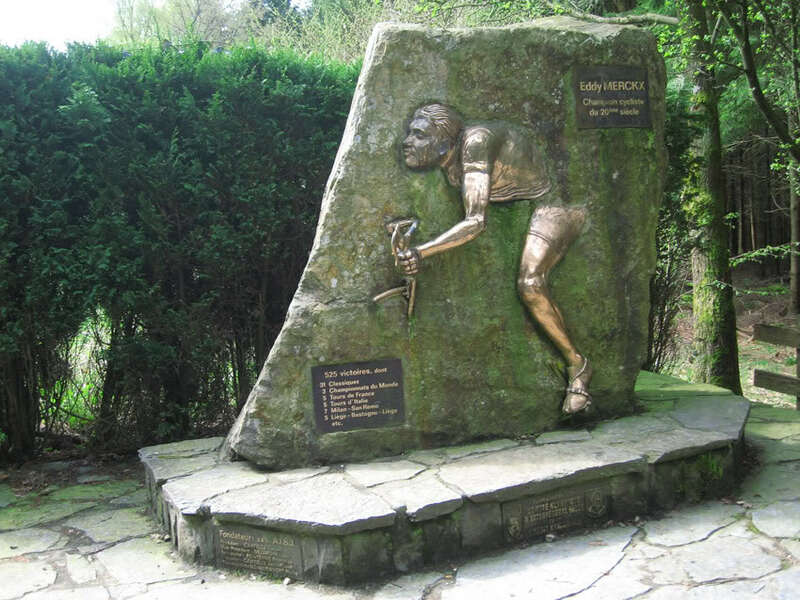 The statue of Eddy Merckx awaits cyclists at the top of the Cote de Stockeu.